Guitar jam sessions are a great way to improve your playing skills and your confidence as a guitarist along with jam tracks guitar free backing tracks on Youtube and many other sites . They can also be very daunting for guitarists who are new to jamming, especially beginners. This article shows you what to expect, and how to prepare. Basically, jamming is improvising with other musicians – usually one or more people play rhythm parts, to get a beat going, and others improvise solos over the top. A jam may be entirely free-form, or may be based on a particular song or chord sequence. However, although you may not always be preparing to play any specific song or piece, you can (and should) prepare yourself by making sure you have a solid grasp of your instrument. This means practicing chords and scales in various keys, so you’ll be able to play both rhythm and solo parts while jamming. You don’t have to be an expert guitarist to jam, but you do need to at least grasp the basics. Strumming chords in a variety of keys, with the ability to change chords cleanly. If you’re new to the guitar, start off with the primary chords in the more common keys (such as C, G, D, A, E, F etc), and progress from there. The ability to play in time. You don’t have to play complex rhythms if you’re not comfortable with that, but you must be able to keep to the beat. If you’re playing a solo, the rhythm must take priority – in other words, if you come unglued, it’s OK to miss out a few notes of the melody, but you must keep up with the beat. Learn to listen closely to the bass and/or drums – this will help you to stay in the right place, and to avoid being distracted by nerves or other things going on around you. The ability to hear chord progressions and follow along. Ear skills are vital for jamming – you can practice by recognising when chord changes happen in the music you listen to, and later by learning to identify the specific chords that are being used. You’ll find that the same patterns tend to recur a lot (especially in popular music), and will eventually be able to recognise them instantly. For more advanced ear training, specialised courses are available. Being able to improvise lead melodies. You might not want to do this straight away, which is fine – you can just strum along with the rhythm if you like. But being able to improvise melodies is a key part of more advanced jamming, and requires some lead guitar skills. Scale practice is essential here, as is some basic theory, so you know which notes can be effectively played over which chords. Step one – assuming that you’re basing the jam around a song you know or a predetermined chord sequence, just strum along with one strum to each beat using simple downstrokes (or if the pace is too fast – try strumming every other beat, or on the first beat of each bar). Step two – strum along, but rather than just using downstrokes, use upstrokes too to play more complex rhythms that blend with what the others are doing. Step three – create some simple riffs. These can be repeated with the chord changes, or varied a bit to make things more interesting. Step four – try improvising some solo melodies. You can keep them very simple at first, sticking with the notes of each chord, then get more adventurous as your skills and confidence progress. If you’re playing an electric guitar, you can also experiment with adding effects at any stage in the process, if appropriate. So, now you have an idea of how to jam on guitar, lets take a look at the main situations in which you can practice your new skills, and how to make the most of them. Jamming in a live environment with other musicians can’t be beat. After practising alone at home every day, it is great to get out and connect with some like-minded others. It also provides invaluable experience if you want to play in a band or other live situation – playing with others requires listening, improvisation and rhythm skills beyond those you’ll normally use when playing alone. So, what exactly happens at a jam session? This varies, depending on the situation. For example, sometimes people get together to jam over existing songs (or song structures), or they may follow a chord sequence suggested by one member, and tabs or chord charts may or may not be used. Sometimes, as with many free-form jams, there’s no predetermined structure at all, and everyone just improvises based on what they’re hearing. 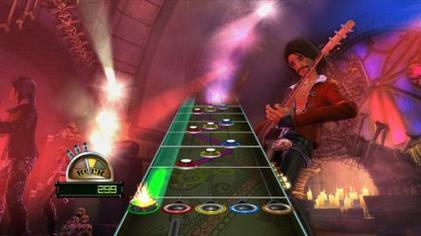 The music may cover various styles (such as jazz, rock, blues etc). If you’re new to jamming, you’ll probably find it easier at sessions that follow a familiar song or chord progression, with simple structures such as three chord songs or a 12 bar blues. In a group situation, you may be expected to play a specific role during each piece – such as playing rhythm, or soloing. Make sure you stick to your task, but also stay aware of what the other people in your session are doing. Eye contact can be especially vital if you’re all improvising freely (as opposed to following a predetermined structure), as people will use it to signal when they’re about to change chords or rhythms, or finish a solo etc. You might feel nervous when jamming with others for the first time – this is normal, and you shouldn’t worry too much about making mistakes – they’re inevitable. It will help if you’re playing with other people who aren’t too advanced, or are willing to include some simpler songs in the session for the benefit of the less experienced. Most musicians will be welcoming to newcomers and will hopefully remember how it felt to be new to jamming – if they’re not, find somewhere else to play! If you don’t have musician friends to jam with already, you can often find local jam sessions organised by music stores, pubs and the like – these will sometimes be geared towards players of different standards, so look out for beginner jam sessions to start with. If you’re unable to jam with other musicians in person, or you just want to improve your jamming skills in between session, you can also jam along with recorded tracks, as well as with tools like a drum machine. Jamming along with recordings is the next best thing to playing live. While this doesn’t have the same element of unpredictability, it gives you the chance to practice focusing on developing your own improvisational skills against a constant musical backdrop. You can of course play along with recordings of songs by artists you like – this is a good way to get to know the songs that are likely to be played at your live sessions too. You can also use tracks that have been recorded specifically with jamming in mind – there are lots of free guitar jam tracks in many styles available online (although the quality does vary a lot), and there are also professionally recorded tracks available for sale at low prices. These often come in two versions – one with a guitar solo included, and ‘minus one’ versions where the lead track is absent, so you can fill it in yourself. Another option is to practice jamming with a virtual drummer or bassist in the form of a drum machine or software equivalent. This is an excellent way to develop your rhythm skills, which are vital to effective jamming. Software that allows you to program your own drum or basslines, and/or which is pre-programmed with a variety of presets is widely available online. Some software also offers full backing tracks in various keys. If you’re still new to playing the guitar, you’ll find that practising playing along with others from an early stage in the learning process will help you to jam more confidently. 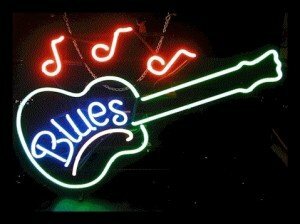 Choosing a course of quality guitar lessons that includes jam tracks that gives you experience of playing with a virtual band right from the beginning is one of the best things you can do – I recommend Blues Jam Session, a downloadable course which features professionally recorded jam tracks in a variety of styles, right from the first lessons.